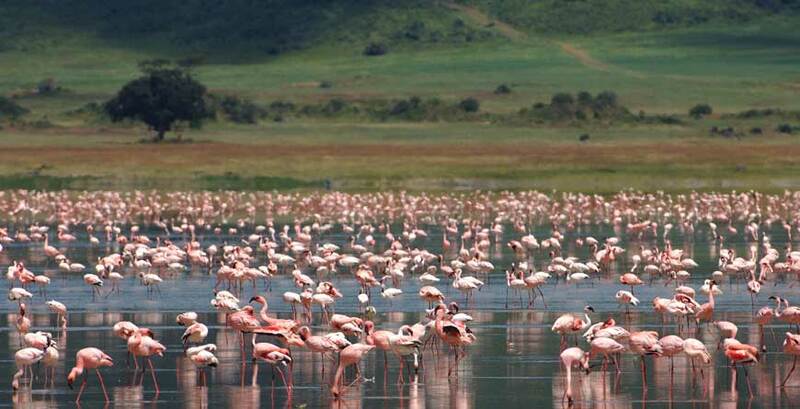 As one of the most naturally diverse countries on earth, Tanzania offers a true 'out of Africa' wilderness experience – the magnificent snow-capped Mount Kilimanjaro, the second largest freshwater lake in the world in Lake Victoria, the sweeping planes of the Serengeti and the largest unbroken caldera in the world in Ngorongoro Crater all teaming with wildlife. Tanzania also boasts the Selous – the largest game reserve in Africa. This stunning East African country is of course famous for the Great Wildebeest migration, the journey of around 1.5 million wildebeest and 250,000 zebra across the Serengeti ecosystem, covering a staggering 800km every year. Tanzania is also known as the country of colours. No other country in Africa provides such immense natural beauty and colour: the red soil, the fresh green foliage of banana leaves and the blue flowers of the jacaranda tree. Most colourful though are the people of Tanzania. Friendly, welcoming, unassumingly proud – you’ll be treated with warmth and courtesy wherever you go. With Tanzania’s many safari parks, we have chosen the best and developed itineraries to suit a variety of needs. 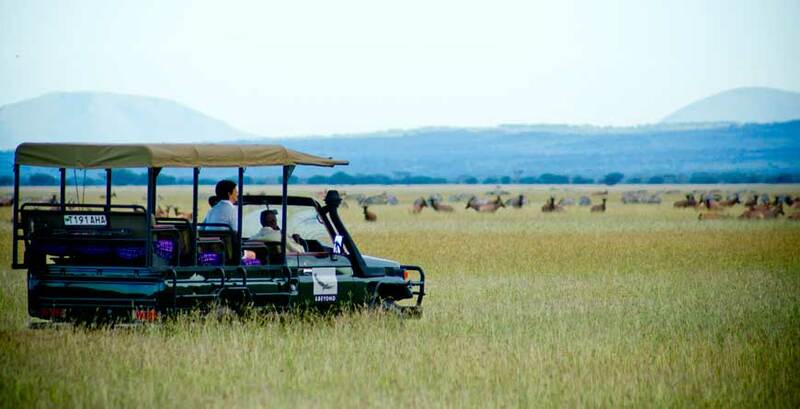 Whether you want to experience the Great Migration, visit the Rift Valley the most important prehistoric site in the world, bush walk with a Masai warrior or a balloon safari over the Serengeti, we can organise this for you. And what better way to complement the Tanzania Safari than a stay on a beautiful white Zanzibar beach. Tanzanian weather is tropical where the coastal areas and the islands off the coast have warm and humid weather. 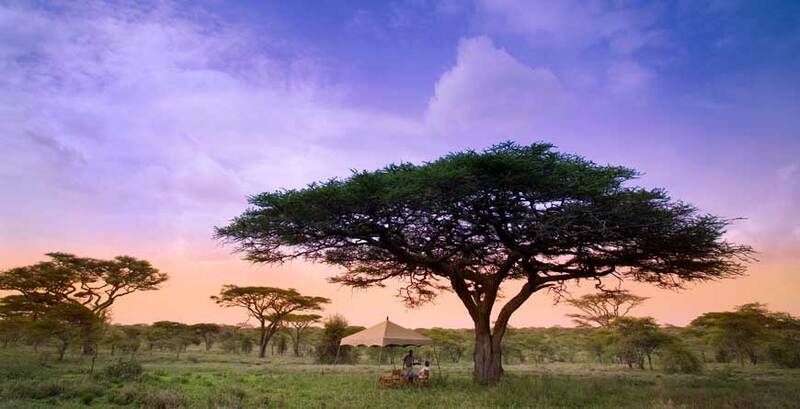 On your safari you will experience between 3000 and 8000 feet of elevation which means warmer days and cooler nights. April is the wettest month, with most of the lodges closed during this period, whilst the hottest months are December-March with temperatures reaching low 30’s during the day and drop to 15-20 at night. June to October generally sees the driest weather and co-incides with the incredible spectacle of the annual migration in the Serengeti. However, temperatures can drop low on the rim of the Ngorogoro Crater at this time of year, so pack warm clothing if you are including a stay here! Flights: We recommend flying via the Middle East Doha/ Dubai to Kilimanjaro or via Nairobi with Kenya Airways to access the Northern Circuit. The Southern Circuit is best accessed via Dar es Salaam. KLM offer some of the best flight options.